What is 'The 10k Training Roadmap'? 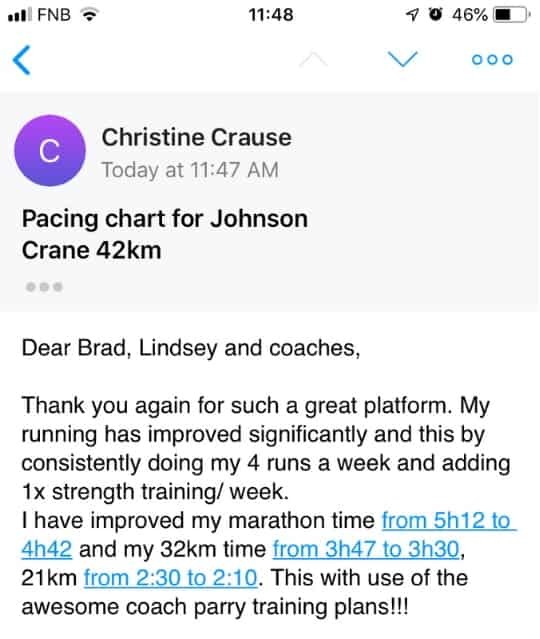 This is a proven, science-backed 12 week 10k training plan that shows you not only what training to do every day, but exactly what pace that training should be done at so that you avoid injury and ensure you're not over- or under-trained for come race day. This is the ONLY place you can get ongoing, direct access to Coach Parry through our easy to use forum. Get help and advice when you need it. It's as simple as sending a text message. There is a 12 week 10k Training Roadmap for YOU! Whether you are aiming for a sub 40 minute 10k or just to finish in one piece, we have a 10k Training Roadmap to get you there. Am I doing enough? Am I doing too much? Am I fast enough? This 10k Training Roadmap will tell you what you need to do on a day by day basis. Stop worrying and simply do today's training session. The rest will take care of itself. ...The pressure of running 10k as hard as you can is enough to freak the most seasoned runner out. Am I training too much? How long should my long runs be? How many long runs should I do? What does that pain in my knee mean? My ankle is sore, should I rest or run? Am I fast enough or will I finish? 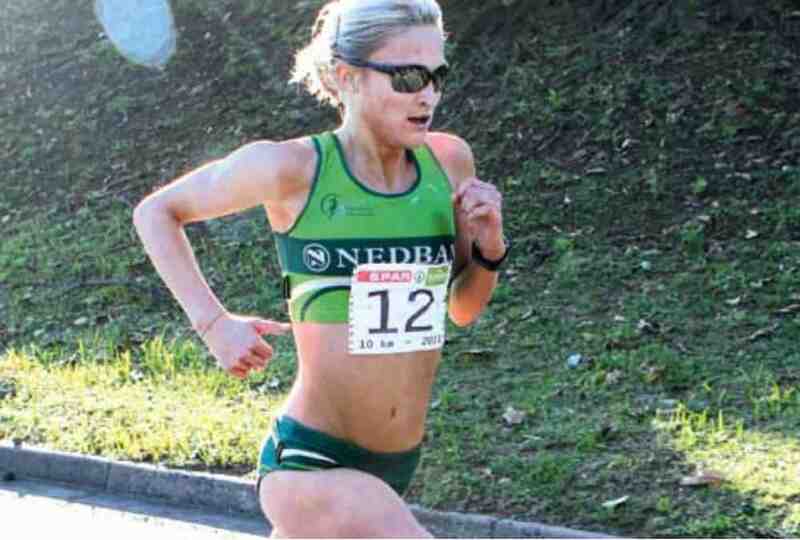 A proven, step-by-step 10km training plan to get you from exactly where you are today, to having a medal around your neck at the race you're targeting in the time you were chasing. Without the stress and worry. Knowing that you've done what it takes to finish a 10k, feeling strong and in control within your goal finishing time. ...to give yourself the shot at achieving your 10k goal. The 10k Training Roadmap guides you through every step of your journey. Training, recovering, tapering and race day. 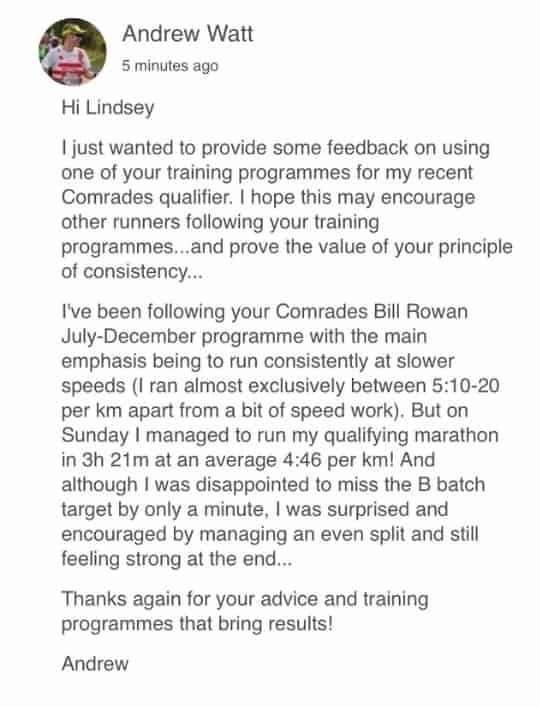 What's inside the 12 week 10k Training Roadmap? 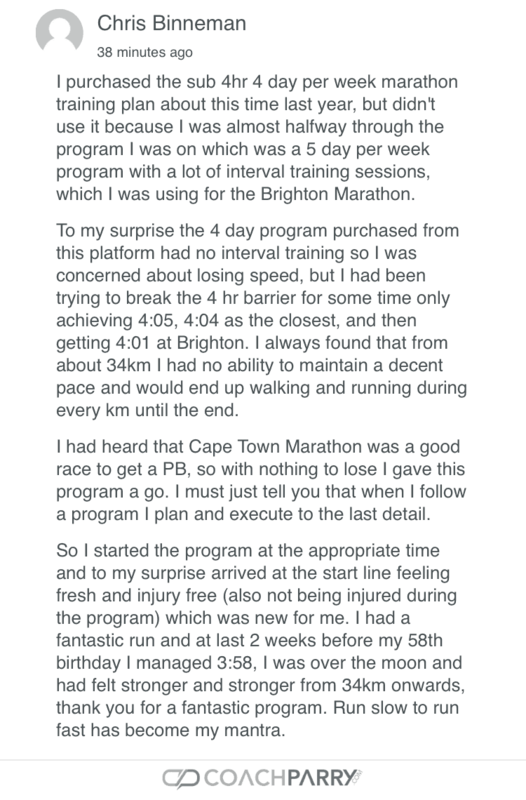 The 12 Week '10k Training Roadmap' just works...See what our customers have to say! Do NOT train for a 10k without this plan! ...without the stress and worry. Why risk "winging it" with your 10km training when you can quickly get access to a proven plan, all for less than the cost of a cup of coffee per day? ...you just need to use our training and our coaches to guide you in the right direction. And price shouldn't be an issue, because you can have 4 weeks access to the "10k Training Roadmap" (plus our qualified coaches) for just $57. Yep, for less than $1 per day! You can have a step by step roadmap that will help you finish your first 10k or smash a 10k PB and be the envy of all your running friends. ...then click the "Add To Cart" button right now. QUESTION: What is the 12 Week 10k Training Roadmap? 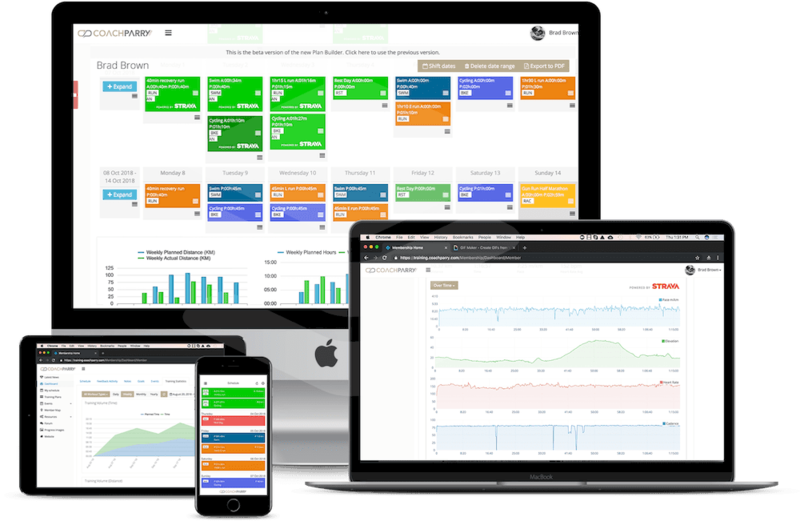 ...a 12 Week 10k Roadmap is more like a "checklist on steroids!" ...all in the hope to distil down to the things that work and discard the things that don't. And along the way, we have perfected a large number of methods and race strategies. More importantly, like any good sport scientists, we DOCUMENT each session in step-by-step "execution plans" so our best ideas could be repeated and rolled out across all our different training plans. Yep...all our training has a 30-day, no-questions-asked guarantee. QUESTION: Is this a once off or ongoing fee? This is a once off fee which gives you access to the Coach Parry Training Club for 12 weeks. 2. It weeds out the freebie-seekers. We only want runners who are serious enough to invest in themselves and take action, and in our experience charging anything...even if it's just a buck... gets rid of 99% of people who aren't committed to the process. 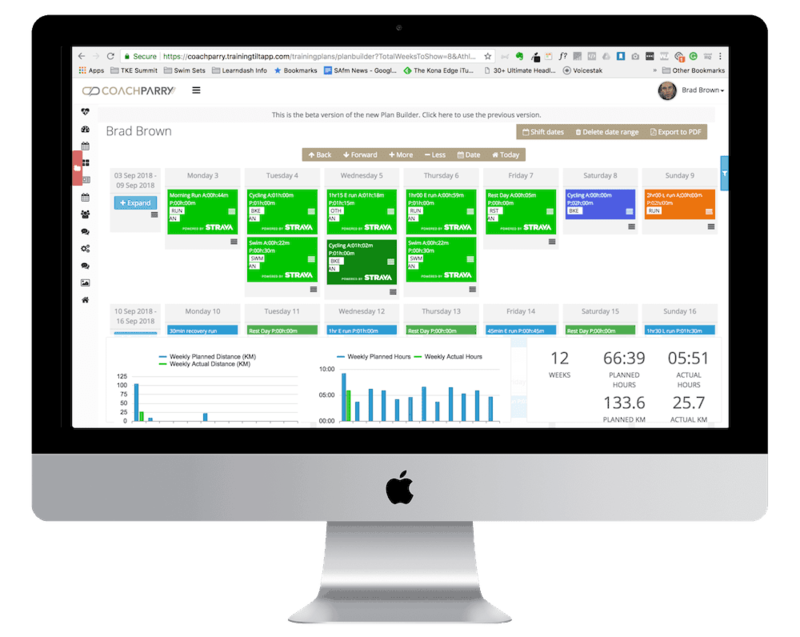 We also believe that once you experience the 12 Week 10k Training Roadmap, you'll want more and maybe...just maybe...you'll come back, possibly even upgrade to our Monthly or Annual subscription where you get access to our entire training library. No fine print...no "hidden trials"...no shenanigans. Just the information and training you need and the results you want. 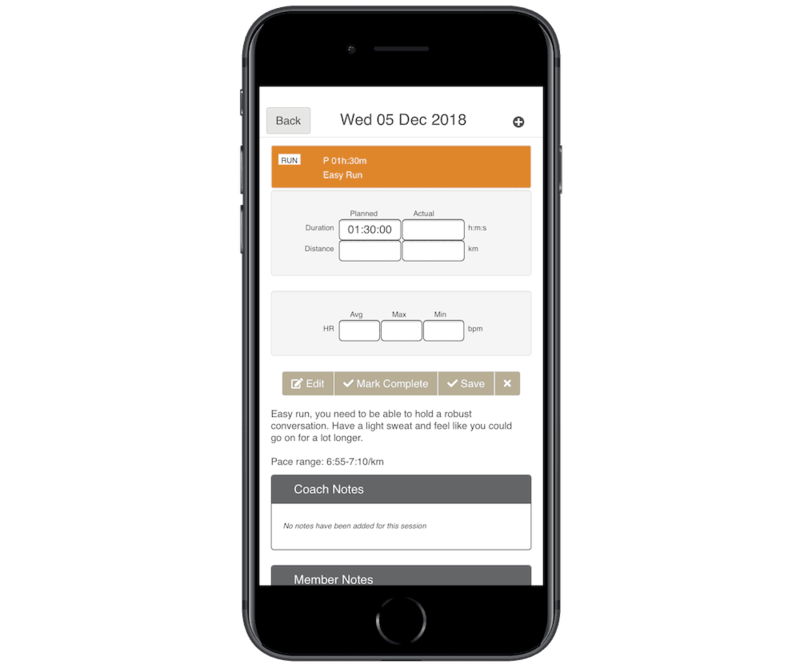 Your login and access information will be sent to the email address you provide, and there will be a video on the next page that explains how you can access the 12 Week 10k Training Roadmap inside of our training platform. QUESTION: How long will I have access to the programme and platform for? You will have access for 12 weeks from the day you join. 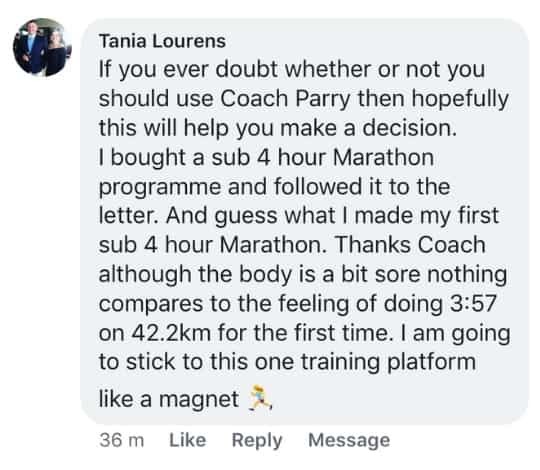 After your 12 weeks access is finished you can purchase another 12 weeks or you can decide to join our monthly or annual training club where you get access to all of the Coach Parry training plans. The programme is broken down weekly so you know exactly what you need to do every single day. The programmes include the exact pace that you should be running your easy, long and recovery runs at. Bi-weekly videos will guide you through the programme so that nothing is left to chance in your training. Need accountability and motivation? We’ve got you covered with 3 months access to our exclusive running community. Before you go, get this awesome discount on a training programme now! Great! What email address can we send your coupon code to?